Can a regular scale take a beating, log tares, register weights over a year, automatically send the values of everything you’ve weighed to your computer, which, in turn, helps you analyze the data and make your operation more profitable? Industrial scales tend to be tough floor scales that are either built-in to a platform area or are accessed via a short, shallow ramp to make loading and offloading as easy a task as possible. They are used in many industries for the quick and effective weighing of certain goods – mainly large good such as drums or loaded pallets. You will find industrial scales typically in warehouses, production facilities, dockyards and industrial facilities. 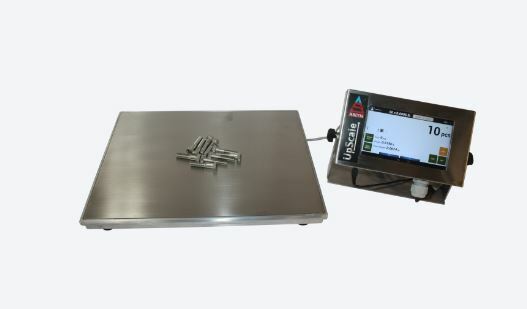 Companies use these scales in conjunction with a console reader with software that logs accurate measurements of the goods they send out to help with pricing, inventory and stock control. Using a regular scale when your operation actually needs an industrial scale can result in a slowing down of vital processes, creating a production bottleneck and can be an overlooked source of chaos in a facility. Such scales typically offer a much greater capacity than standard scales and are designed for the accurate weighing of large objects. Some scales are portable and, despite their size, can be packed away when not required, hence saving valuable space. They are highly versatile and can weigh all types of objects – even animals! They are accurate up to their specific capacity, no matter the range of loads they are used for. They have been built to withstand all the stresses and strains of a busy, modern warehouse (lower quality scales will break easily and will need constant repair). Analog displays do not give precise read-outs. The position of the read-out is open to interpretation, meaning that different scale users can give different read-outs even though the weight of an item does not change. Digital scales can be configured to provide an exact resolution as required. For example, if you need exact weights down to the nearest pound, then your scale can usually be configured to do so. If you need more accurate figures – such as down to one tenth of an ounce, that is possible, too. Many types of digital scales can be switched between different measurement systems, such as imperial (as used in the US) or metric (as used in Europe). If a similar analog scale does not have a dual display then conversion is a manual task, which is time-consuming and introduces a higher probability of human error. Digital displays render the exact weight of an object without being open to interpretation, giving a precise and accurate result. No matter who uses the scales, for the same item that is being weighed all operatives will give the same result. Digital displays are increasingly software-based and can often be linked – wired or wireless – to invoicing, accounting or stock control software. This not only eliminates data entry time, but also removes the possibility of operator error when entering figures into a system. If direct linkage to software is not possible, the information provided by the digital scales can be stored internally and then sent to a storage device, such as a USB stick. Information can then be transferred to wherever it is required. Almost all the scales that we can provide for your business or company at Arlyn Scales can be fitted with digital indicators. There are two product models that we provide – the Arlyn Upscale Touchscreen Indicator and the MKE-5 Digital Indicator. The Arlyn Upscale possesses a 7 inch wide IPS Touchscreen Digital Indicator complete with many advanced features that will really aid your production process and analysis of your data. Despite its complexity, this digital indicator is extremely easy to use and regular operators will find frequent use is a breeze. It also possesses enhanced datalogger functions that will record all data that the Arlyn Upscale collects and then can email the information – either on the fly or at timed intervals – to the people who need the information the most. Note that the email function is only available if this digital indicator is purchased with an Ethernet or Wi-Fi option. The MKE-5 Digital Indicator is guaranteed to display completely accurate weight values. The graphic display will show results in a perfectly clear manner, while the alphanumeric display easily enables the input of data when necessary. The MKE-5 has a large internal memory and data can easily be accessed via a USB Port or sent via Ethernet (both are optional upgrades). We hope that we have convinced you of the advantages of investing in an industrial digital scale. Here at Arlyn Scales we really go the extra mile for all our clients, and we have assembled an expert team of customer service representatives who are ready and willing to field any question you might need answering related to our industrial scales. With our 30 years of experience in the design, innovation and manufacture of scales in-house, we have helped innumerable clients from many industries – and we’ll be able to help you working capital loans no credit check acfa-cashflow. To reach out to us, use our online contact form where we’ll contact you via email as soon as possible.